Making money off the Mad is not a privilege to take lightly when one believes in recovery. Many of the Mad in the system, depending on how much experience they have, will presume you’re going to treat them like a commodity or property as many provider-folks have done previously in their history. I believe that a large part of gaining trust involves demonstrating that the best interest of the Mad person needs to honored above and beyond the money made. When I first set my eyes on being a Mad-Recovery-Provider about twelve or thirteen years ago, I saw a lot going on that was not honoring this principle. The level of alienation I felt between myself and other providers was very high. I became effective at managing this aspect of the therapeutic relationship and achieving trust. As time has moved forward and I have seen the amount of recovery lost to unhealthy clinical families, failure of providers to collaborate, and interagency and interdisciplinary infighting, I have changed my perspective. No longer do I believe that maverick success alone is acceptable. As I have gained experience, I have come to see more of the limits of my own recovery perspective and the Mad diversity out there. While I do not deny that it is a dignified option to just stick to helping those who fit a mold that you are good at helping, I have avoided this route to keep my services accessible to everyone. For other recovery providers who work in the system, changing agency culture towards recovery and decreasing impact of mental health silos gets added to the list. Now the recovery provider needs to on top of all they do to move the Mad person forward toward social integration. This entails promoting recovery not only on your own team, but also with other service providers from different disciplines. Providers are not often enough trained to realize how our own egos or chips on the shoulder towards each other contribute to treatment failure. Because in my mind, the Mad in the system are clearly subjugated beneath the provider community, I now feel prepared to identify three ethics to making money off the Mad that ethical providers might consider: 1) acknowledging their privilege and responsibility; 2) working with others to adapt a recovery culture; and 3) resisting the temptation to silo up. Acknowledging I am taking a strong stance, I am going to stick to my guns and argue that the Mad-Recovery-Provider needs to be able to negotiate the financial oppression going on within the relationship. As a psychotherapist, in the past fifteen years, I have gone from renting a closet of a room with a landlady who helped herself to the little that I owned, to owning a house and sustaining a marriage. Because outside my marriage, I have received limited amounts of support, I personally feel indebted to those in the institutions who support me. That is partly because I come from the institution and worked hard for several years to get up out of the street and be able to maintain housing and move into a closet of a room. While I have seen some of my Mad brothers and sisters move up and out of the squalor of the confines of the program I work in—with jobs and relationships and other signs of dignity—others have aged and continue to give and give while remaining in smoky confines of homes that are on war-torn blocks. Some have significant cultural dignities and capital to hold onto, but many don’t. Acknowledging the inequity of the relationship is key to establishing the recovery track with the many that don’t have cultural capital. Thus, when providers feel entitled to their lifestyle, or perhaps resentful that they are not privileged enough for the work they do (and many are barely paid a living wage,) they may not realize how much they are comparatively being helped by the work they do. Not getting this, can significantly interfere with seeing the Mad person as a human being. Okay, so that said, it is extremely important to work with other people in ways that do not undermine what they do. Slapping someone who bears a different perspective in the face is not a good way to influence them. See what I mean? Some of what I have done to increase my level of success is to run groups in a way that utilizes my own experiences of Madness. Because I operate in a different manner and with a different perspective than most, I have been very careful, writing extensively on the weekend to give myself ground to stand on, in the event that I am challenged. I have done this in part to invite co-workers to know what I am up to. When you color both inside and outside the lines with the intention of improving care, it can be cause for some to alienate you. It is important to tolerate that without fighting back and still honor what other people are doing and learn from the good they do. I have often had to hang in there with naysayers until over the years some have started to listen to what I have to say. I believe that learning how to promote health and simultaneously help change the culture of the institution is a slow process. Staying honorable, humble and submissive has been key for me. My experience with an effort to accelerate the recovery process too quickly, something I hopped right on board eagerly to do, taught me that this does not work. I believe that quick changes will cause individuals to silo up and go after you in ways that make survival untenable. When I served as an exposed Mad leader on multidisciplinary teams, it was very hard to change different teams minds. There was a tendency for individuals from different disciplines to attack and not respect what I had to say. I believe there needs to be a clear give and take, and a co-worker needs to be open and slowly and gently impressed with the care you can bring. When you stand out too strong and say too much too quick your co-workers may feed on you like sharks. While you are getting attacked by others, the money and energy that could be going to care for the Mad person is actually getting expended on destroying you. Other people can and will go to great lengths discredit and diminish your efforts. Things can become very negative. So often there is a tendency for different disciplines and organizations to form mental health silos. When workers focus only on meeting the requirements of their deliverables and get territorial with regards to who does what, or who works with who, I feel that recovery can easily be lost. When, for example, one therapy organization competes with another and fails to encourage its participants to connect with the local peer movement for fear of losing income, recovery is lost. When a peer organization sees this and discourages people it works with from going to a therapy organization when they need it, recovery might be lost. When a therapist fails to use a psychiatrist because they don’t believe in medication and a client suffers and them becomes bonded to the psychiatrist and becomes highly critical of a therapy process, recovery may get lost. When a recovery provider encounters behavior from another discipline that is not recovery focused, they need to still find ways to respect and work with it. Much like working with others on your team, promoting your ideas of recovery is a long, slow, and, for me, a non-confrontational process. 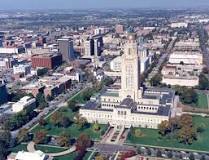 Indeed to list just one example from my hometown Lincoln Nebraska: I had to persist for years to get a peer recovery organization to have permission to come to my agency to give our therapy seekers a vision of other constructive community activities. Then when I finally succeeded the peer organization refused to come for a while for reasons I could not understand. I heard a key leader in the organization make fun of me for what I do providing therapy suggesting that it’s not worth all the money that gets made. Finally, the presentation did happen and it helped, but what was all the infighting about? Whether through grants or insurance, money is being made and the salaries are fairly comparable. Thus, the Mad-Recovery-Provider who pushes and shoves others for not believing in recovery, and fights hard so that his vision of recovery can be realized may ultimately impede and slow down recovery. Interpersonal turmoil within or across interdisciplinary teams needs to be avoided so that clients aren’t pushed and shoved around. Mad need to get affirmation from more than just one relationship. In this manner, they can learn to have different kinds of relationships with different supporters and can feel a sense of safety, self-direction, and self-determination. Although there are times when a Mad person may rightly need to stay grounded in only one therapeutic community, it is very important that they have the right to make their own choices over their treatment. It is unfair for treatment providers, in my opinion, to impose or influence the Mad when something is clearly in it for them, the money. Silos are for Corn, Not Mad People! Do not be fooled! Having someone paid handsomely for the services they provide for you stings when you yourself are left in a state of absolute deprivation. It may be easier for a Mad person who likes you to presume they have a condition that can’t get better, than to acknowledge that you are temporarily taking advantage of them. Clyde, I have experienced some of what you discuss. As an inpatient in mental hospitals, I was often made aware of being a commodity that several made a living off of. Some feel that capitalism is the root cause of all mental illness. There is a corporation called American Addiction Centers. It boasts not only its excellent care (a guarantee that after a 90 day residence, if there is a relapse, the client can return for free), but also going public, selling stock in the corporation on Wall Street. Here’s an experience as an out patient with a therapist at a community outreach center. This is a man who I partnered with at a free introductory re-evaluation co-counseling session. I’s seen him around in the community before. As my therapist, during the second session, he told me he only works with people’s pain–the negative experiences. he did not want to discuss or hear about anything good happening for me. Next session I told him I was quitting the therapy because of this. He began sobbing and I held him. Thank you for your comment. I worked for a company that provides peer support from a corporate model. When I took the job I wasn’t given the full picture. But there is a lot of distortion that gets promoted by business when funds are at stake. Good of you to volunteer your services back then. Sometimes you get what you pay for, and sometimes you pay for years of abuse, and sometimes insurance companies pay for abuse. Sometimes you get what you need in the strangest circumstances. I try to stay strange. I am working on praying for what I need and being grateful, instead of simply wanting what I can’t have. Wants can get you in trouble. Excited for the arrival of your book, should be any day now. Thanks for all that you do.